How to find a good astrologer ? Before you get started with the consultation, the best way to find an astrologer is from a friend or someone you already know. Or if you tried to find it on your own, through Internet for example, thanks to your own sensibility and instinct. In general, a good astrologer has many years of experience in that field and a good general knowledge. However, if their astrological knowledge isn't enough, it's better for astrologers to have a good instinct and a sensibility that goes beyond technical competences. A good astrologer works like a therapist, in order to help us find our way without influencing us. The purpose of the analysis is to guide us more than predicting the future. Because there is no mind reading or cards drawing here. If clairvoyants use the word astrology to give credibility to their job, the reversed situation has never been experienced. They use it to make it more serious for their clientele but in general they have their own way to give people their horoscopes. Clairvoyants are supposed to have flashes and they predict the future. Astrologers base their analysis upon positions of planets in the zodiac and make previsions with the help of their intuition. Unlike the clairvoyants's, astrologers's previsions aren't deterministic (it advocates the free will) and their results are a list of precise dates. Clairvoyants aknowledge that their dates are pretty random. Clairvoyants can have more than 10 consultations a day and in general those consultations don't last more than 30 minutes. Astrologers on the other hand have to prepare each consultation and they can't have more than three consultations a day because they usually last over an hour. 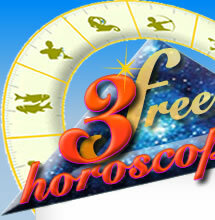 As a matter of fact, very few astrologers can make a living with their consultations. Usually astrologers balance their lifestyle with a psychological self-consultation. This knowledge about psychology helps them avoid any issues with projection and transfer and the danger that represents answers with trials and verdicts. Finally, clairvoyants will ask you to come back frequently, that's when people can become addicted, when astrologers won't ask for another consultation before 9 or 12 months. As a conclusion, we have to keep in mind that the purpose of those differences between astrologers and mind readers isn't to say that astrologers are good and clairvoyants are bad because there are also bad astrologers and talented mind readers. In general, talented mind readers don't make it a profession and people are in contact with them by word of mouth, which often guarantees that the work is serious. We can say the same about astrologers ! How to pick the right computerized astrological report ? There are many of them on the web. How to make a difference between the fake studies, the ones that are sold to you when you could get it for free and the real ones, complete and personalized? ? Well, you will have to seek and compare. You can find an element of answer thanks to those criteria. Are astrological interpretations signed by astrologers ? Beware of anonymous interpretations because they can be botched up or not well written. The coherence of an interpretation is a matter of common sense and it's better if it's always the same author who takes care of all your interpretations. A good astrological report is a work of many years and no astrologers in this world would do it without signing it. Are astrological calculations accurate ? In general they are made through a professional software specialized in astrological calculations.. It will guarantee the precision of calculations with no mistake as far as interpretations. The best thing will be to be able to get a free online birth chart to make sure the calculations of the positions of planets and the ascendant are accurate. If you can't do that, make sure the data of astrological calculations are well presented with the report (see below, "examples"). If none of this is given to you when it comes to calculations results, you should be careful because this type of studies is worth a bag of candies..
Are some examples available ? When you go to a fruit market, you are allowed to taste before buying right ? Well... same thing for astrological reports, before you order one you should be able to get a free sample online in order to have an better idea of what's to expect. This way you can see how sure you are about it and you can also check and see if there are the results of the calculations on it. If you can't find any example, then do not use that website ! Without any free example, chances are the analysis will be bad or probably the same as it would have been with a free one. Is it a good way to make business ? Before making business with any of those websites, make sure you know who the merchant is (it has to be clearly written somewhere on the website). Never give your credit card number outside of a securized payment website. Make sure you always remember there is always a chance for technical issues, so also make sure it's easy to contact the customer service. Do not use websites that don't make it easy to trace your purchase: premium rate number, "off-shore" companies or weird business conditions. Even though those computerized studies are very good, they won't give you the results an astrologer in a real consultation can give you. Of course they are cheaper but this is the only comparison we can make since they complement each other. The difference is in the detail: a personal consultation with an astrologer will dig deeper in the analysis. The best thing would be to get started with a computerized analysis and to summarize it with an astrologer. How to pick the right horoscope online ? When it comes to horoscopes, are they signed ? Who did them ? Indeed there are what we call "horoscope random writers" who don't know anything about astrology but have a talent to find the right words (even though they have no connection whatsoever with astral positions). Make sure you choose an horoscope by decan because they are precise or even better personalized horoscope where you have to give your birth date. Make sure you avoid those website where you have to register through your email address before getting the first horoscope. Indeed your mailbox may be full of banners or ads that you never asked for !